JIMS Annual Cultural Event was organized at Sirifort Auditorium on 20th October, 2018. Nearly 2000 students were present at the event. For each event, teams from all the four JIMS campus - namely Kalkaji, Vasant Kunj, Lajpat Nagar and Greater Noida participated with full enthusiasm and zest. 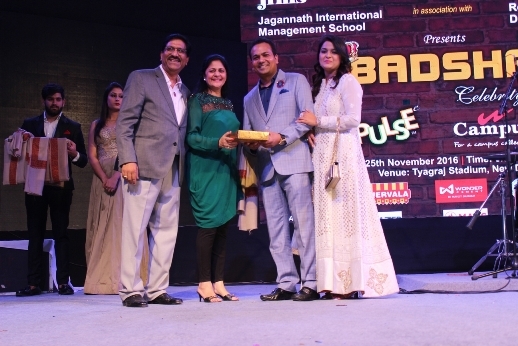 Of these, eight off-stage events took place at JIMS Kalkaji Campus on 13th October, 2018, Radio Jockey Hunt, Ad-mad Show, Floor Art, Creative Writing, Mono-acting, JAM- Just A Minute, Face-painting competition were included in the off-stage events. JIMS Annual Cultural Event was organized at Sirifort Auditorium on 14th October, 2017. Nearly 2000 students were present at the event. For each event, teams from all the four JIMS campus - namely Kalkaji, Vasant Kunj, Lajpat Nagar and Greater Noida participated with full enthusiasm and zest. Of these, eight off-stage events took place at JIMS Kalkaji Campus on 13th October, 2017, Radio Jockey Hunt, Ad-mad Show, Floor Art, Creative Writing, Mono-acting, JAM- Just A Minute, Face-painting competition were included in the off-stage events. 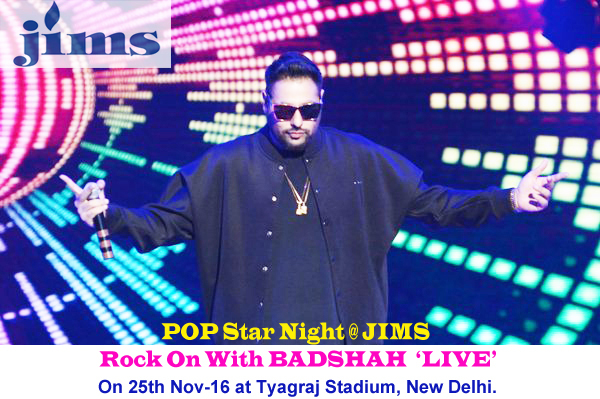 In association with Rotary Nirvana, JIMS CELEBRITY NITE 2016 : "Badshah" Live in Concert was held on 25th November, 2016 at Thyagaraj Stadium. POP-STAR NIGHT on 25th Nov, 2016 at Tyagraj Stadium. JIMS Annual Cultural Event was organized at Jawaharlal Nehru Stadium on 10th October, 2016. Nearly 2000 students were present at the event. For each event, teams from all the four JIMS campus - namely Kalkaji, Vasant Kunj, Lajpat Nagar and Greater Noida participated with full enthusiasm and zest. Of these, eight off-stage events took place at JIMS Kalkaji Campus on 8th October, 2016, Radio Jockey Hunt, Ad-mad Show, Floor Art, Creative Writing, Antakshari, JAM- Just A Minute, Face-painting competition were included in the off-stage events. Various on-stage events were: Solo-singing competition, Solo instrumental music, Duet Singing, Battle of Bands, Theme Play Segment, Solo Dance Competition, Duet Dance Competition, Group Dance, Fashion Show And Dandiya. Chairman of JIMS, Dr. Amit Gupta along with, Prof.(Maj.Gen) M.P.Singh (Director, Lajpat Nagar), Dr.(Col.)Rajan Anand Malik (Director,Greater Noida), Dr Dhar (Director JIMS, Vasant Kunj), Dr. J.K Batra(Director, JIMS Kalkaji) and all HOD's from various campuses were present at the event. Annual Cultural Event of JIMS was organized in Siri Fort Auditorium on November 7, 2015. Nearly 1500 students were present. For each event, teams from all the four campuses of JIMS- namely Kalkaji, Vasant Kunj, Lajpat Nagar and Greater Noida were participated. Of these, eight off-stage events concluded on 6th Nov namely, Radio Jockey Hunt, Ad-mad Show, Collage making, Rangoli, Creative Writing, Antakshari, JAM- Just A Minute, Face-painting competition. Various on-stage events were: Solo-singing competition, Solo instrumental music, Duet Singing, Battle of Bands, theme play segment, solo dance competition, duet dance competition, Group dance, Fashion Show and Dandiya. Chairman of JIMS campuses, Dr. Amit Gupta alongwith Dr.(Cdr) Satish Seth (Director General, JIMS Kalkaji), Prof.(Maj.Gen) M.P.Singh (Director, Lajpat Nagar), Dr.(Col.)Rajan Anand Malik (Director,Greater Noida) were present in the event. JIMS Kalkaji Students of BBA & B.Com.(Hons.) stduents actively participated in Anugoonj 2015 (The festival of IPU). 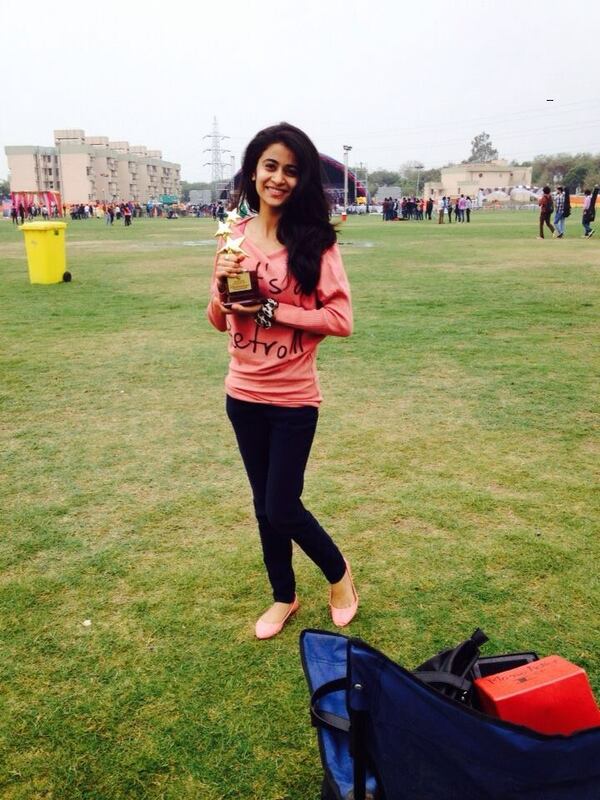 Ms. Twinkle Khanna BBA IV A(E) became the winner at first position for Mono Acting. 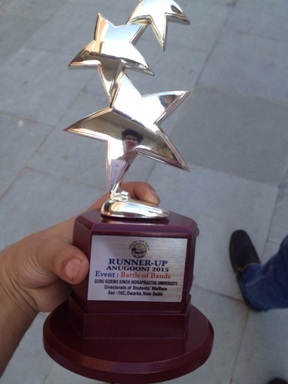 Battle of Bands -- SARGAM got the Runner's award for Battle of Bands. Anugoonj is a trademark cultural event of GGSIPU. It is the most eagerly awaited cultural festivals in GGSIPU, with participants in hundreds and audience in thousands. 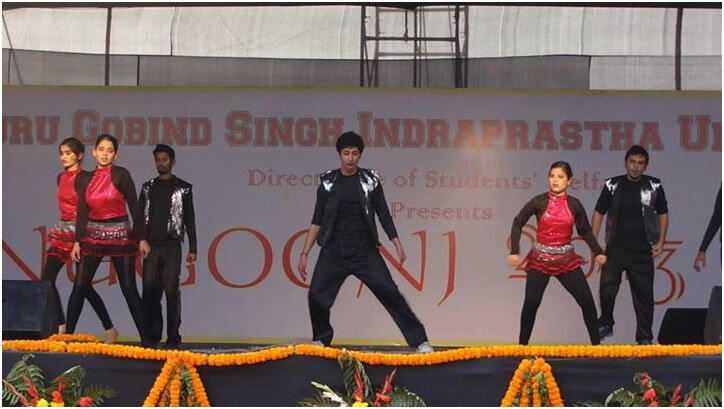 Anugoonj is the largest festivals organized in the University. The zonal prelims that are marked as a begining of the event are scheduled in the second week of February. This year for Zone 5 the prelims stage centre is set at JIMS Kalkaji, New Delhi, where students from different colleges of the zone will participate enthusiastically. Jagannath International Management school, aims at providing a dynamic and vibrant learning environment to the students with teaching pedagogy matching the industry standards and inculcating the object oriented management skills through a process of experiential learning imparted to the students pursuing BBA and B.Com(H) programme and in cultural events with a holistic approach for quality of life passionately took part in the fest. 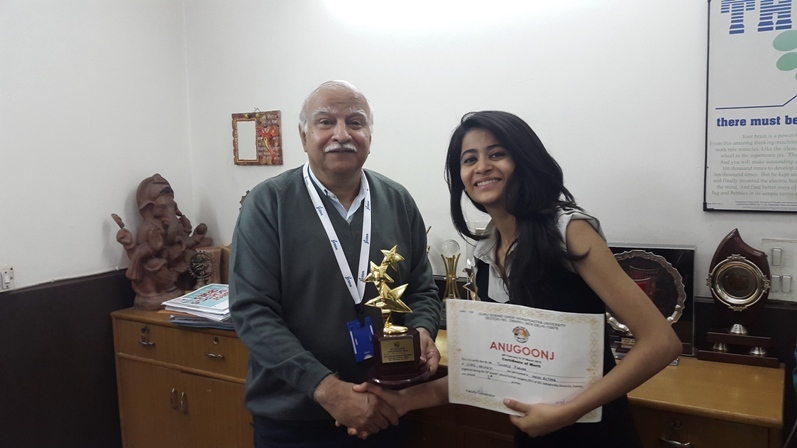 Jagannath International Management school, Kalkaji is privileged to organize the Zonal prelims for the University fest " Anugoonj 2015" on 13th and 14th February 2015 for Zone 5. All 21 colleges under Zone 5 affiliated to Guru Gobind Singh Indraprastha University are invited to participate in the event. The prelims for colleges for zone 5 would be hosted by hilarity of teachers, coordinators and students. The Prelims are Scheduled on 13th and 14th of February-2015 in JIMS Kalkaji Campus, New Delhi. 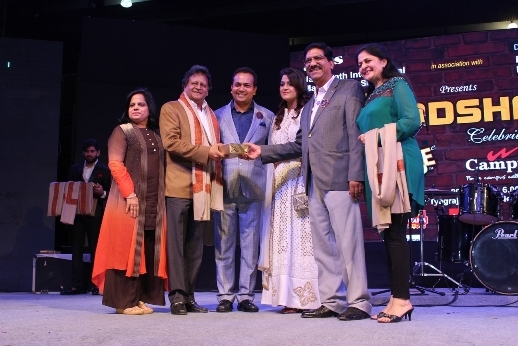 The annual cultural extravaganza "Zest and Dandiya 2014" was held on 11th October, 2014 at Siri Fort Auditorium. The program began with Saraswati Vandana and lighting of the lamp by Prof.(Gen) M. P Singh, Director,JIMS-Lajpat Nagar, Dr. J.K. Batra, Dean, JIMS-Kalkaji, Prof. S. K. Dogra, Registrar and HOD BBA, JIMS-Vasant Kunj, Prof.Dr. Ranjan Anand Malik, Director, JIMS-Greater Noida. The inaugural ceremony also included auspicioius reminiscence of Lord Ganesh Vandana by the students of JIMS Lajpat Nagar. The program started with immense zeal and excitement. Students from all the four campuses had come for participating in the event. Dr. Cdr. S. Seth (Director Kalkaji), Major Gen. M. P. Singh (Director Lajpat Nagar) and Dr. A.S Sethi (Director VK2) were present on this occasion accompanying various distinguished guests. The main performances included Ad-mad Show, Antakshri, Solo singing, Theme Play, Solo instrumental, Solo Dance, Group Dance and the much-awaited Fashion Show. The prize distribution ceremony was done by respected Chairman Sir, Dr. Amit Gupta, along with Hon'able Directors, and was followed by Dandiya Dance. The grand event ended with the felicitation of the chief Guest for the Day, Hon'ble Satish Upadhay, President BJP, Delhi. 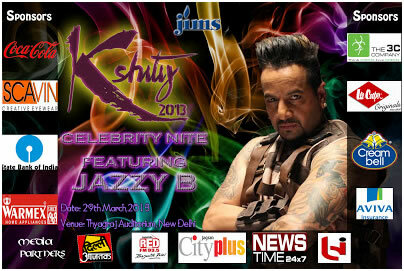 JIMS Delhi, Kshitij & Celebrity Nite-2014 was organized on 1st March, 2014 at 1:00 pm at Kathuria Public School, Vasant Kunj. Sponsored by MTS, Oodles residency, Orifame, Balaji Metals, JPG builders, Mangla emporium, Navjeevan Enterprises, SKM jewelers, Sikri electric, Entourage club and with our media partner being Dainik Jgaran. The event was graced by various eminent personalities from corporate and media like Mr. Siddharth Paul, Rekha Verma, Mr. Mukesh Chandra, IPS officer, JT commissioner of police. 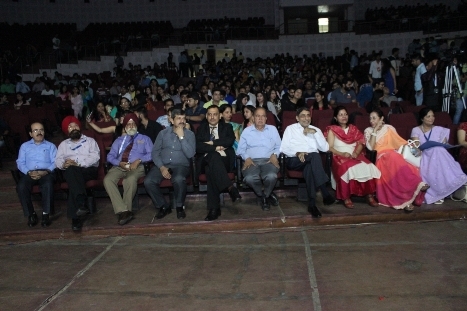 The event was attended by large number of students from various colleges of Delhi-NCR. In solo singing, Ankit from, JIMS New Delhi, Lajpat Nagar Campus and Ashish Kakkar from, JIMS Delhi, Kalkaji Campus were declared first and second respectively. 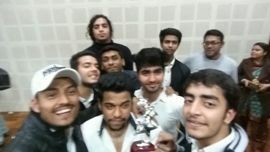 JIMS, Lajpat Nagar were the winners for Group dance JIMS New Delhi, Kalkaji. Vaibhav Anand of JIMS, Kalkaji, and Sushmita of JIMS, VK1 won the Mr and Ms. Kshitij competition. 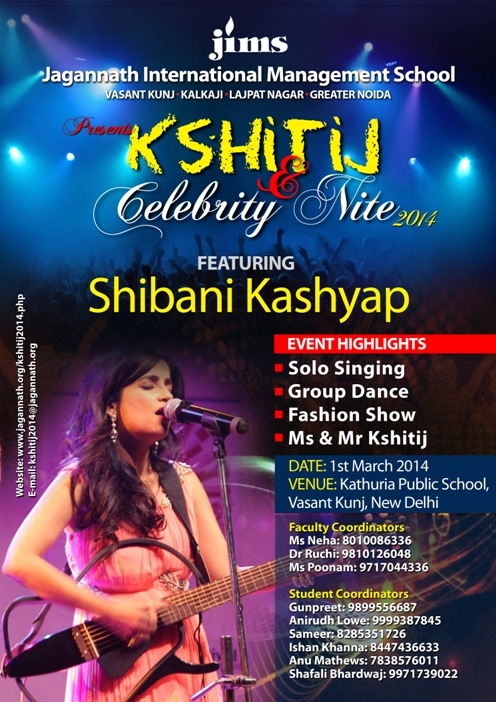 Kshitij was followed by JIMS Delhi, Pop Star Nite which witnessed a live performance by the singing sensation Shibani Kashyap. 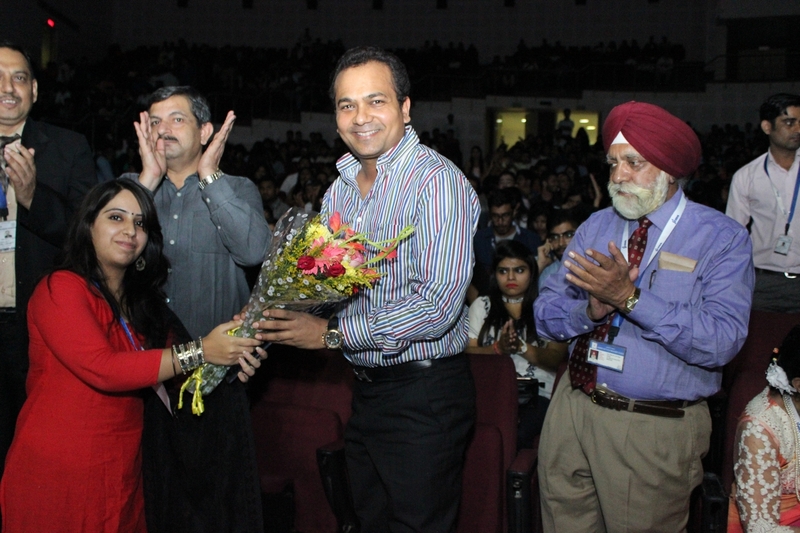 The 2 days inter-college gala ‘Kshitij & Pop-Star Nite 2013’ started on 23rd March 2013 at 10:30 am at auditorium of Jagannath International Management school, Kalkaji sponsored by Coca cola, Aviva, Cream Bell, 3C Company, Lee Cooper, Media partners Delhi Aaj tak, Red F.M, Jagran City Plus and SBI as our banking partner. Various eminent personalities from corporate and media took their valuable time out of their busy schedule to judge various events. The much awaited ramp walk for Mr.&Ms.Kshitij started with great keenness, followed by the talent show and Q&A round declaring Aman & Shobhita as the winners. 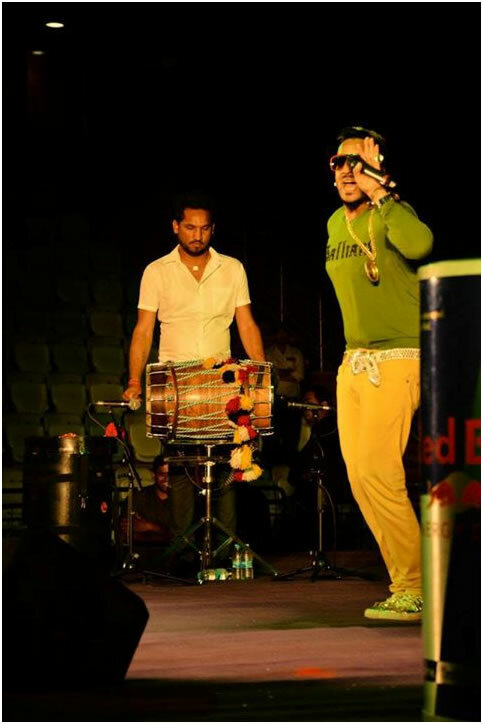 Pop Star Nite Followed after Kshitij was held on 29th March 2013. International Punjabi pop singer Jazzy B, performed at the huge Thyagraj Stadium. The Event was covered by media patners Delhi Aaj Tak, Red FM etc and our other official partners were Scavin, lee cooper, coca cola, cream bell. Aviva, State bank of India and many others. The 2 days inter-college fiesta ‘Kshitij & Popstar Nite 2012’ started on 23rd March 2012 at 10:00 am at auditorium of Jagannath International Management school, The auditorium was rather overflowing with the participants from over 17 colleges namely Sri Venkateshwara, Dyal Singh, Jamia Hamdard, PGDAV(E) , Amity Business School, ULIMS and many other eminent colleges of Delhi .The events of the first day included Solo song, Antakshri, Theme play, Ad Mad, Solo Dance. 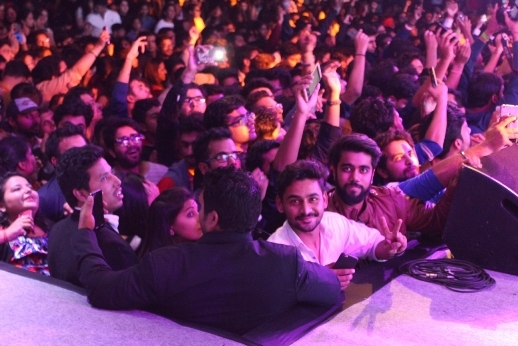 While the on- stage events were being watched and judged ,there were a host of off stage events simultaneously taking place in the Institute, namely, Flower Decoration, Face Painting, Rangoli and Collage. 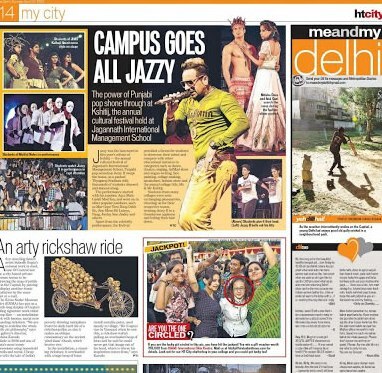 The event was covered by our media partners Delhi Aajtak, Ping Magazine, Deccan Herald and OYE! 104.8 FM. The main sponsor of the event was Central Bank of India. 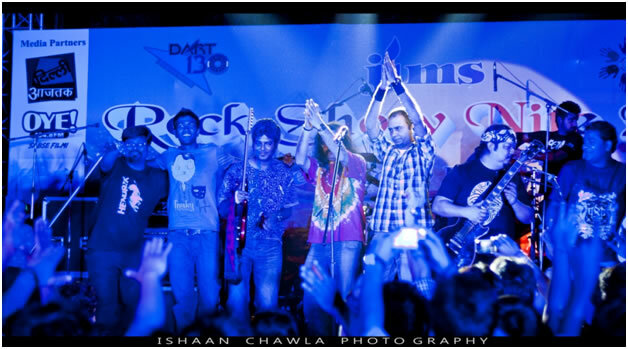 The “Rock Star Nite” Followed immediately after Kshitij on next day was held on 24th March, 2012. 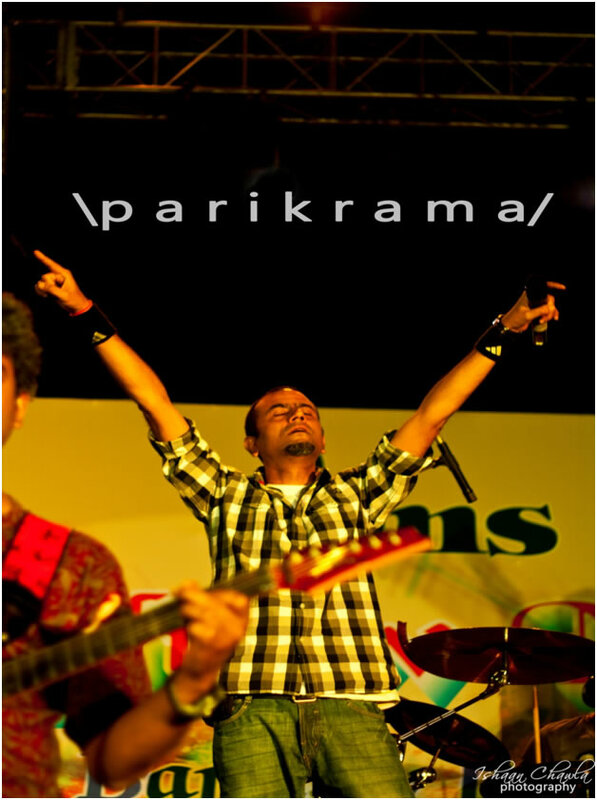 Delhi-based rock band Parikrama, performed at Kathuria Public School, Vasant Kunj. 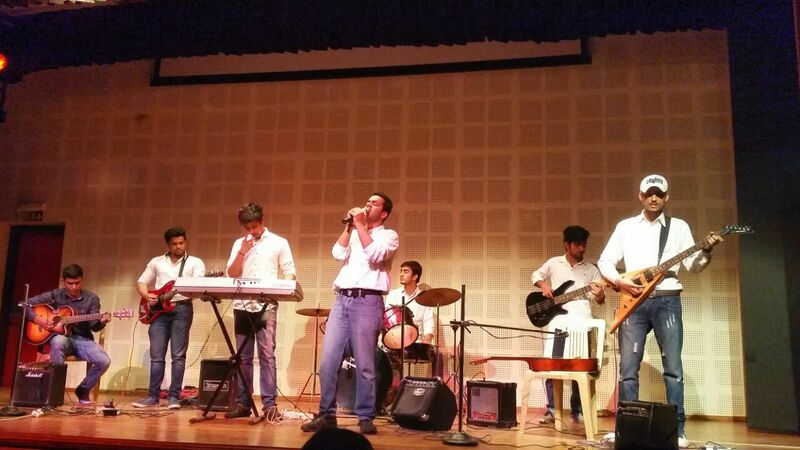 It was a grand event and the students enjoyed to the rockband. Ishaan Chawla and Sanchit Aggarwal of BBA JIMS, Kalkaji- Contemporary Freelance Professional Photographers volunteered to cover the whole event. JIMS organised on 23rd March at JIMS Kalkaji carried forward the magical spectacle. 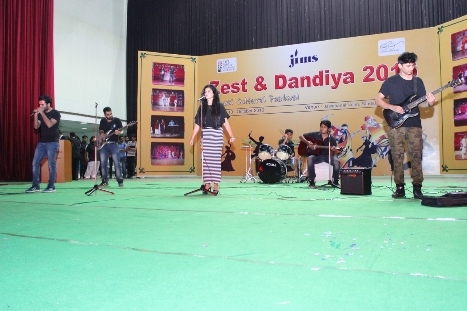 All JIMS Campuses and various eminent Colleges and top B Schools of Delhi and NCR participated in various “On and off stage “inter college events. Various eminent personalities from corporate and media took valuable time out of their busy schedule to judge the events. The events were followed by the Chairman, Dr Amit Gupta’s address and the eagerly awaited prize distribution ceremony. The whole event was covered by media. 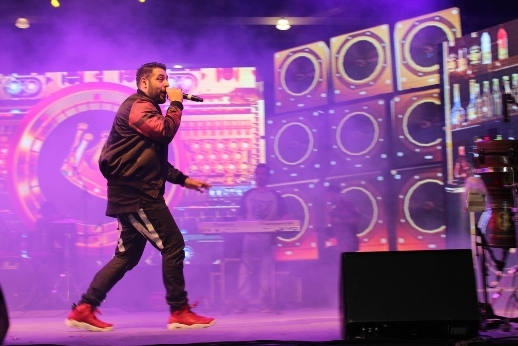 The official 3 day fest of GGSIPU Held at GGSIPU Dwarka is a grand event where all students of affiliated colleges of GGSIPU participate in numerous events such as- dance events, music events, events of fine arts, dramatics, literacy events etc. Followed by star events and JAM sessions. 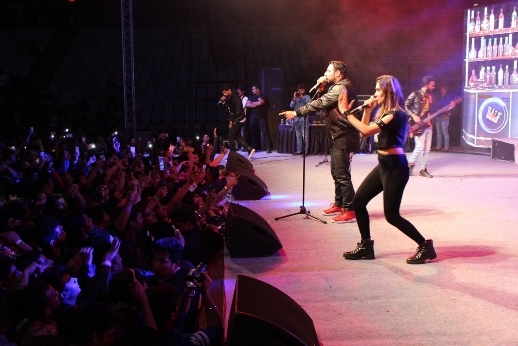 Students are highly enthusiastic to perform at university level. 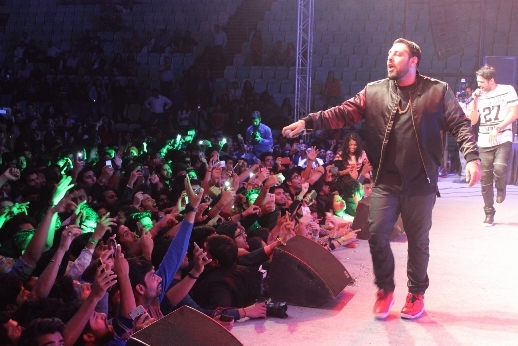 Festivals are always special to every college and their students. Likewise, signature to JIMS, the Annual Zest & Dandiya annual cultural festival was awaited for a very long time. It was amidst the sparkling and twinkling lights of Chhoti Diwali that JIMS celebrated its annual cultural bonanza "Zest and Dandiya'Nite" on November 10 at FICCI Auditorium. The excitement of Diwali and the fervor of the college festival combined together to bring forth an exquisite array of some highly captivating events. The excitement of Diwali and the fervor of the college festival combined together to bring forth an exquisite array of some highly captivating events. The students of JIMS Lajpat Nagar, Kalkaji ,Vasant Kunj I, Vasant Kunj II, and Greater Noida got together to compete with each other in this truly dazzling contest of talent. The Event started at 10:30AM by the ceremonial lighting of lamp by Director JIMS, Lajpat Nagar,Prof. Bhushan Manchanda, Head, Corporate Affairs and Senior Faculty Members. The prize distribution ceremony was done by Mayor South Delhi- Ms. Savita Gupta.